Do I have what it takes to change your lifestyle? First thing I gotta tell you about juicing is that it’s addictive. If you want a habit that is packed with micronutrients, heals your body, encourages and causes weight loss all while making you look and feel younger, too, read on! At first I was drinking sweet juice like apple and orange with a carrot or two. Within a month I was throwing in broccoli hearts, kale, parsley and cabbage from the garden. Last week I pulled up some beets, rinsed off the roots, clipped the wilted leaves and put everything else straight into the juicer. The result was a dark green, bold cocktail that I had to sit down to savor. No novice could drink that one, but I know that my juicer brothers and sisters are nodding their approval. Clear-headedness follows, as does mindful eating habits and deliberation over produce. A glass a day is all it takes. What’s so great about live juice? Everything! Good nutrition improves skin, hair and nail conditions, promotes healthier eating and improves energy levels. Those are just a few changes I’ve noticed in myself. To learn more about nutrition and juicing, I recommend two films: “Hungry for Change” for anyone who wants to learn more about your dietary needs and nutrition, (http://www.hungryforchange.tv/ ) and “Fat, Sick and Nearly Dead,” the documentary about two very sick and obese men who change their lives for the better, one juice at a time (http://www.fatsickandnearlydead.com/ ). Both films are inspirational and convincing. Plus, you’ll learn that you don’t have to be overweight to benefit from micronutrients. If you’re not yet ready to invest in a juicer, these days there are lots of great places to try live juice, which is unpasteurized and unprocessed whole fruit and or vegetable juice containing live enzymes. For the casual juicer, you can grab the occasional nourishing glass of juice at lots of places in San Francisco. Herbivore (http://www.herbivorerestaurant.com/) is one of my favorite spots away from home to juice. Many farmer’s markets now have juice stands as well. For the rest of us, you’ll need a juicer at home. Last notes: Never juice premium fruits like blueberries, raspberries and strawberries; it’s not cost-effective to put a half blueberry in the compost. Instead, make a smoothie or eat them whole. 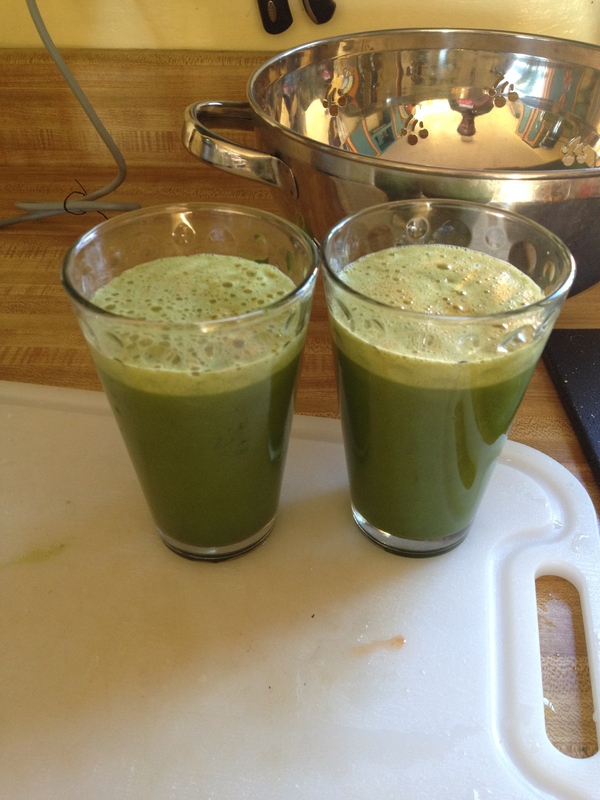 Your body will absorb more of whatever you put in the juicer. Make it count. A modern day alchemist, Edissa, you inspire us to heal both body and mind!